Sierra Nevada Corporation (SNC) is continuing to realign its Dream Chaser spacecraft’s aspirations, after losing out on future Commercial Crew Program funding from NASA. The company announced the Dream Chaser for Science, or DC4Science, a variant that would offer a free-flying microgravity science laboratory to commercial and international customers. SNC lost out in NASA’s Commercial Crew Transportation Capability (CCtCap) contract award decision last month, with the Agency opting to press forward with funding for SpaceX’s Dragon V2 (now understood to be known simply as “Dragon 2”) and Boeing’s CST-100. Although SNC has protested the decision, it is unlikely the company will change NASA’s decision. The Agency has already won a legal decision that allows SpaceX and Boeing to proceed with Commercial Crew work while the protest is ongoing. Prior to the protest, SNC had already noted they would press forward with their plans for the Dream Chaser, a spacecraft that was never exclusively designed for transporting NASA astronauts to the International Space Station (ISS). “SNC has made the decision to continue the development of the Dream Chaser to flight, including a near term bid on NASA’s CRS2 effort,” SNC noted after losing out on CCtCap funding, pointing to a potential cargo role for the vehicle – which is currently being served by SpaceX and Orbital via the ongoing Commercial Resupply Services (CRS) contracts. 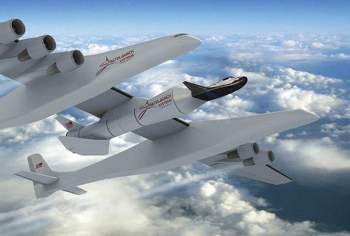 Following the Commercial Crew blow, SNC announced it is looking to join forces with Stratolaunch System’s air launch architecture. This would involve a scaled version of the Dream Chaser to fly crewed and automated missions with the air launch carrier. (Another article on this aspiration – based on new L2 documentation – will be published next week). Science missions has long been an aspiration for the Dream Chaser, as previously intimated by Mark Sirangelo, corporate vice president and head of SNC’s Space Systems. Mr. Sirangelo noted that DCSS systems can be tuned to specific applications and requirements, such as extended duration flight and fully autonomous missions. 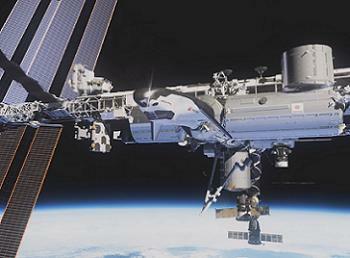 “What we are looking (at Dream Chaser) as a utilitarian vehicle in space. It has the capability of doing many more missions. We’re actively developing new customers,” he said at the start of the year. The overall goal is to allow the DCSS to play several roles, such as being a space taxi to a private station, payload delivery and retrieval not unlike her Space Shuttle relatives, along with the capability to deploy telescopes or lab experiments. “Those (new customer) markets fall in to three main categories: Working in space, discovering in space and observing from space. We’re looking at satellite deployment, debris removal, being able to deorbit or reposition things in space and potentially being able to construct things in space,” added Mr. Sirangelo at the time. “We’re able to turn our vehicle into a mobile laboratory. That would allow us to contemplate a series of microgravity experiments in configurations that could conduct short, medium and long term missions. We might also be able to do direct observation in space. 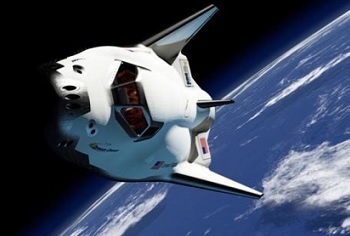 Now SNC have provided further details per its science mission goals, with a variant of the spacecraft that is called the the Dream Chaser for Science, or DC4Science. This is a change of call sign from the previously mooted “Dream Lab”. The announcement came via the revealing of a Dream Chaser Science Mission Mock-Up at the American Society for Gravitational and Space Research (ASGSR) conference in Pasadena, California – showing the current status of its science mission variant that would provide a free-flying microgravity science laboratory. A display of the interior volume configuration options for customers – illustrating one of many integration testing and display – is being exhibiting by SNC, Teledyne Brown Engineering, the University of Alabama at Birmingham, BioServe Space Technologies and ORBITEC. The mock-up will eventually return to SNC’s Space Systems based in Louisville, Colorado, for future integration testing. 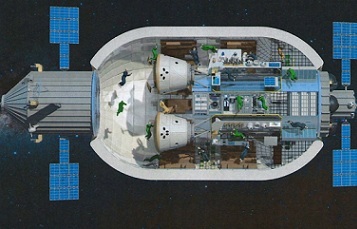 The DC4Science spacecraft – SNC note – is designed to fly independently for short and extended durations to provide customers in such fields as biotech and pharmaceuticals, biology and life science, and material and fluid science with a flexible and evolvable vehicle easily suited for individual mission requirements. “By utilizing Dream Chaser as an orbiting scientific laboratory, our customers can fly tailored missions to meet their distinct needs,” noted John Roth, vice president of business development for SNC’s Space Systems. “Our unique spacecraft offers customers the option for crewed, uncrewed, or telepresence flights, enabling scientists to have complete control of their own payloads – critical for research and development. SNC note one of the major attractions to potential customers will be Dream Chaser’s heavily advertised cross range capability, allowing for a wide range of international landing options – allowing experiments to be returned to a location specific to the customer’s requirements. “By allowing customers to be involved from mission definition through mission operation, and providing immediate access to science payloads at a customer-selected landing site, the Dream Chaser offers the scope and flexibility to enhance and enable microgravity science,” added Mr. Roth.